"In this lesson, students compare and contrast the world, people and technologies of 1984 with those of today and create a treatment for a modern film, print or stage adaptation that revolves around current technologies." 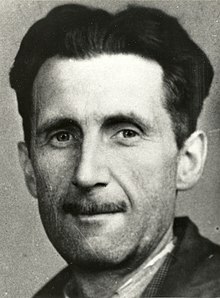 "The comic book adaptation of '1984' ( George Orwell ) will soon modify its creation process and style. The original chapters will be replaced to preserve consistency. You can download the two original chapters for a limited time. Stay up to date on the latest chapter releases. Subscribe to 1984 comic." "I have worked as an illustrator for 10 years. Some of my clients include 2600 magazine, ReCon (reverse engineering conference). I am adapting George Orwell's '1984' into comic book format as a side project (currently on hold)." and a basis upon which students can form their own opinions about today s society." 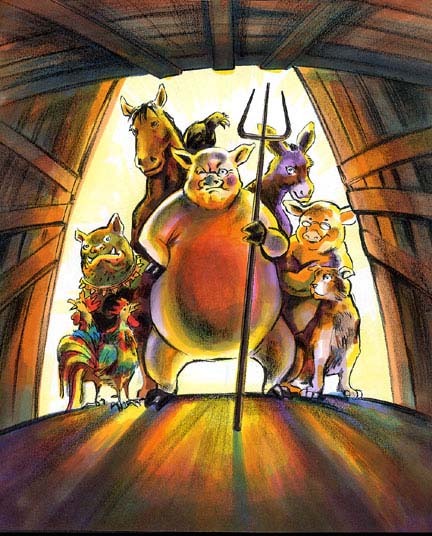 "Animated barn animals act out human faults in life and politics in Orwell's captivating tale." "You will hear an excerpt from “Animal Farm” by George Orwell." Roger Waters uses three animals as metaphors for human behavior: dogs, pigs, or sheep..."